Speaking enquiries should be directed to Daniel Rix. Dr. Azeem Ibrahim is a Research Professor at the Strategic Studies Institute, US Army War College and a Director at the Centre for Global Policy in Washington. He completed his PhD from the University of Cambridge and served as an International Security Fellow at the Kennedy School of Government at Harvard, World Fellow at Yale and a Rothermere Fellow at the University of Oxford. 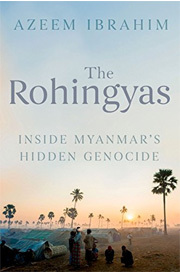 He also sat on the Board of the International Centre for the Study of Radicalization and Political Violence at the Department of War Studies at Kings College London University and was ranked as a Top 100 Global Thinker by the European Social Think Tank in 2010 and a Young Global Leader by the World Economic Forum. 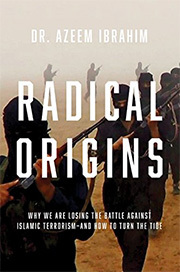 Radical Origins: Why we are losing the battle against Islamic Extremism – and how to turn the tide.